What Can You Expect from the iPhone XS? After the seemingly endless media hype and build-up, the new generation of iPhones are finally here. 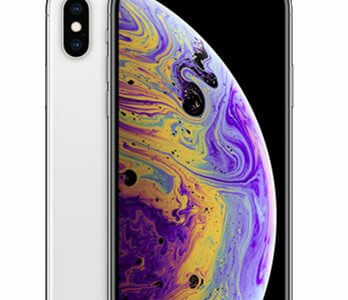 Apple has launched their improvement to last year’s iPhone X, the XS – pronounced ‘ten-S’ as opposed to ‘excess’, though once you’ve seen the price you might feel differently – as well as a larger XS model called the ‘Max’ and a smaller, cheaper device called the iPhone XR. As you might expect, the iPhone XS has been touted as Apple’s most powerful smartphone yet, but how does it actually compare to what’s come before? Let’s take a closer look at the new device, paying close attention to the technical specs and design, to find out what you can expect from the phone if you’re lucky enough to get your hands on one. The XS has maintained the same design philosophy as the original iPhone X, including the controversial notch at the top of the screen. However, there are some minor additions that set the XS apart from its predecessor, such as the ‘Super Retina’ 5.8” OLED display for improved visuals as well as the brand-new gold colour scheme – a deviation from the traditional chrome/ silver scheme of previous devices. Aside from this, the XS has retained the glass back and front that was present on the X, as well as continuing the tradition of removing the home button and having a lightning headphone port rather than a traditional headphone jack. The iPhone XS also features the same steel frame as previous models, however, it is 3-grams heavier than the X due to improvements to the water and dust resistance. One of the most impressive new features of the iPhone XS is the A12 Bionic Chip, which has replaced the iPhone X’s A11 chip with a M12 motion compressor and 4GB RAM. All of this means that the XS will be faster and more powerful over its life-span, boasting an improvement in graphic, efficiency, and peak performance. On top of this, the iPhone XS also has an improved Dual 12-megapixel camera that can film 1080p HD videos at 60 frames-per-second. In addition to the rear cameras, the iPhone XS also features a ‘TrueDepth’ 7-megapixel front camera, which has an f/2.2 aperture. The revolutionary face-recognition software from the original X is also carried over to the latest model. It’s not only the design and internal hardware that have received attention in Apple’s latest upgrade, as the iPhone XS also features a lot of additions that die-hard fans will appreciate. Most prominently, Apple have made improvements to their dust- and water-resistant technology, meaning that the iPhone XS model is less susceptible to damage in this way. Furthermore, the XS has a new speaker which is reported to be louder and clearer than any previous device, making the phone far more suitable for a variety of applications, such as watching videos. In terms of battery features, the iPhone XS carries on the advancements of the X by having wireless charging capabilities. It also has a longer battery life than the original X by nearly 30 minutes, which, while seemingly quite a small increase, is great when you think how much more powerful the phone actually is. While not exclusive to the iPhone XS, it will be spear-heading the launch of iOS 12, the latest update to Apple’s operating system. While there aren’t too many details about how much iOS 12 will differ from its predecessors, it’s sure to add something a little different to match the shiny new device. The iPhone XS is already available for pre-order, so if you’re interested in finding out more about the device or just can’t wait to get your hands on it, you can! And the best part? loveit coverit will be offering comprehensive insurance policies for all the new iPhone models as and when they officially launch.